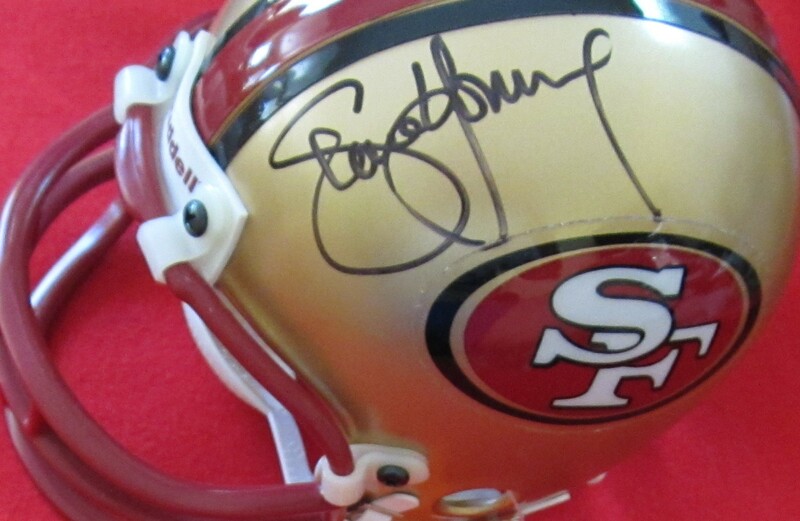 San Francisco 49ers mini helmet autographed beautifully in black marker by Hall of Fame quarterback Steve Young (full name signature). NOTE: there is a very minor scrape on the unsigned side of the helmet. With certificate of authenticity from AutographsForSale.com. ONLY ONE AVAILABLE FOR SALE.